Beat egg and sugar ,add milk and beat again.Set a side. 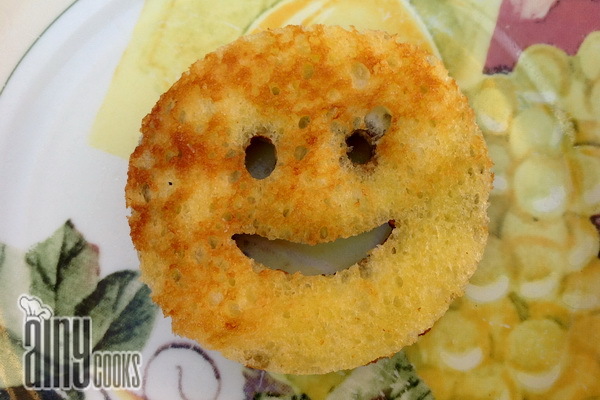 Cut any shape from cutter or you can cut after frying also. Spread nutella or any chocolate spread on one slice and spread nuts on it. 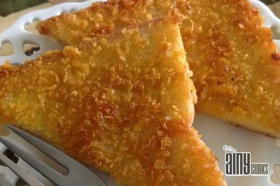 Cover with other slice and dip carefully in batter and fry. 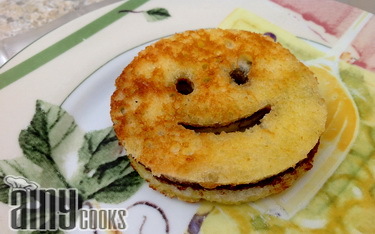 I cut smiling face after frying.